EltaMD broad-spectrum sunscreens provide safe, broad-spectrum ultraviolet (UV) protection. EltaMD sunscreens are formulated with transparent zinc oxide and are noncomedogenic, sensitivity-free, fragrance-free and paraben-free. 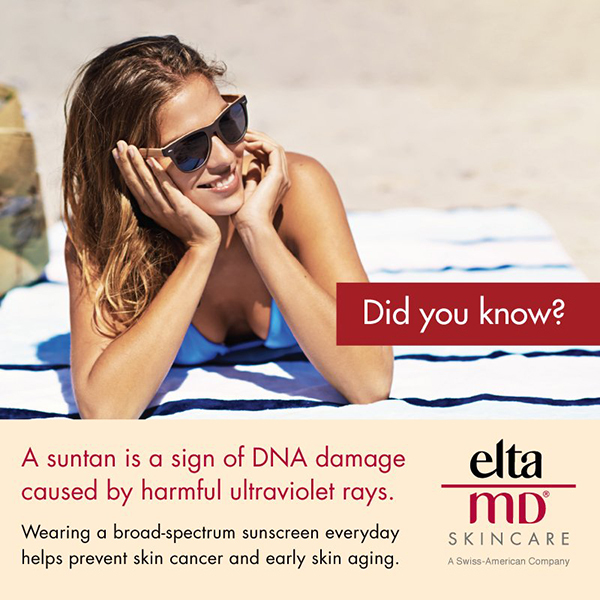 All EltaMD sunscreens are recommended by The Skin Cancer Foundation.